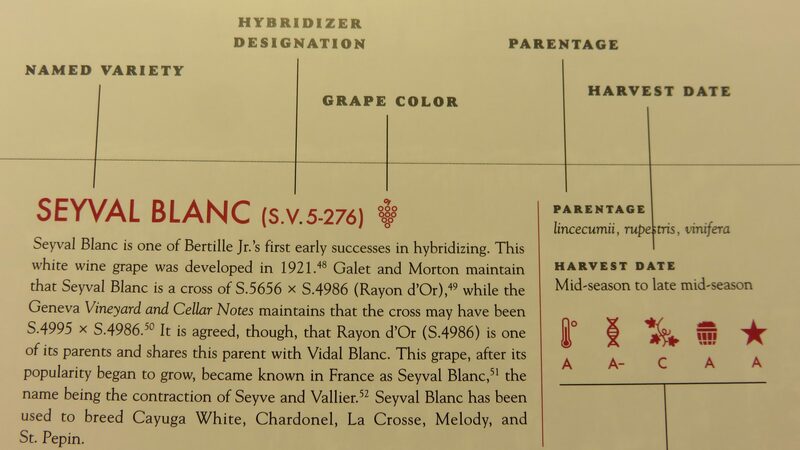 Within 250 pages, this reference book covers more than 150 hybrid grapes and wines. 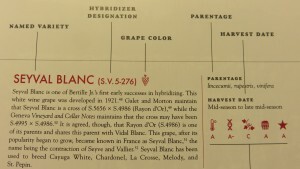 The author is quick to point out that, “counter to the generally held belief of the Viniferists…all grapes are hybrids.” Since all grapes are hybrids, Casscles cautions readers not to look at cool climate wine grapes negatively. Casscles generously shares his opinions on dozens of wine grapes, including many obscure cultivars. In fact, one of the most appealing aspects of Grapes of the Hudson Valley and Other Cool Climate Regions of the U.S. and Canada is a graphically pleasing rating system for 69 different wine grapes. All 69 grapes are ranked “A” though “D” for Winter Hardiness, Fungal Disease Resistance, Vigorousness, Productivity and Wine Quality. To Casscles, hybrid grapes are like the children of Lake Wobegon. They are mostly above average. One of the few poor grades given by Grapes of the Hudson Valley is the mark Marquette earns for Vigorousness. Considering how much Marquette has been planted in the Midwest in the past five years, this lukewarm endorsement is slightly disturbing. 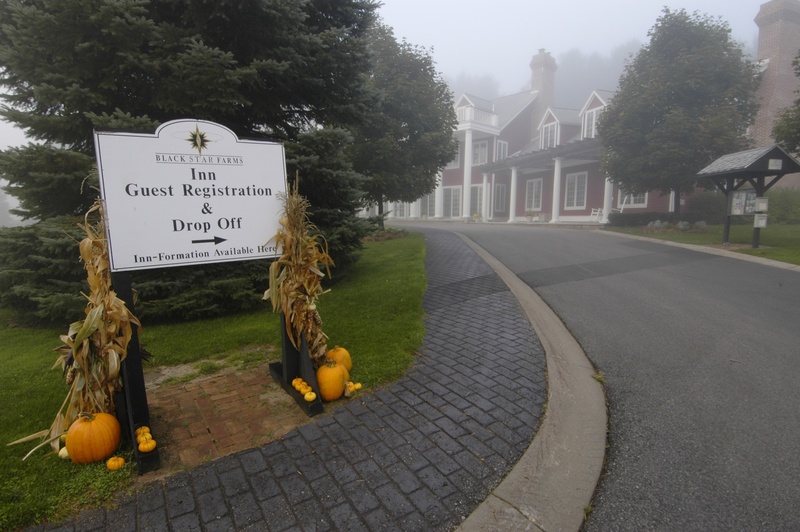 Another University of Minnesota grape, LaCrescent, earns an overall grade of A-. While there’s no debate about the quality of LaCrescent wine, the challenges of growing LaCrescent to ripeness in the Midwest are well documented. Could the growing conditions in the Hudson Valley include a factor other than climate that is conducive to growing LaCrescent? In addition to the newer University of Minnesota grapes like Marquette and LaCrescent, Casscles delves into a broad range of hybrid grapes. As he points out, we are blessed to have over 70 grape species in the North America. In contrast, Europe has only Vinifera grapes. 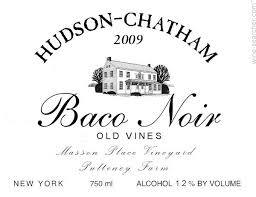 Casscles hints at the reason Baco is not yet a widely grown cool climate grape. 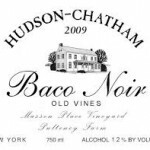 Although Baco can be made into a “big muscle wine,” it can also have insufficient tannins. To compensate for the lack of tannins, Casscles suggests blending Baco with Chelois, Cab Sauv or Foch. 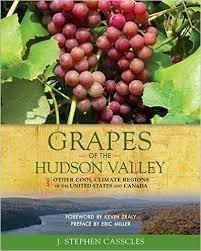 One of the best parts of “Grapes of the Hudson Valley” is the lengthy chapter on Labrusca grapes. Defining the flavor characteristics of Labrusca is difficult and Casscles does an excellent job of explaining why the best labrusca wines are definitely worth checking out. Casscles also covers Catawba, another Labrusca grape, in both the Labrusca and short Vinifera sections of the book. To the author, Catawba is a fruit wine. This contention makes sense considering the strawberry, cherry and watermelon flavors found simultaneously in the best Catawbas. 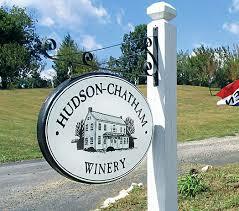 Casscles thinks some Vinifera, notably Cab Franc and Chardonnay, can be grown in the Hudson Valley. If the fruit is high quality, Casscles contends that Chardonnay practically makes itself into wine. He has more respect for hybrid and Labrusca winemakers who routinely turn grapes with unusual chemistry into quality wines. “I would say that the caliber of a winemaker should be judged more on how he or she makes a good Pink Cat, and not a Chardonnay,” Casscles opines. 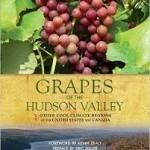 Grapes of the Hudson Valley is an excellent book about cool climate grapes and wines. Some of the credit for the quality of the book goes to the publishers, Linda Pierro and Robert Bedford of Flint Mine Press. When the couple is not experimenting with Zweigelt cultivation in the yard of their Hudson Valley home, they also publish Hudson Valley Wine, a quarterly regional wine magazine. You’ll want to get a copy of both Grapes of the Hudson Valley and Hudson Valley Wine before traveling to one of America’s best cool climate wine growing regions.